Netherlocks offers site service support through local service centers and a network of certified local service partners, enabling efficient execution of installation and maintenance of valve interlocks. We strive to create partnerships with our clients, providing a turnkey approach to service. This will result in a reduction of your total cost of ownership. 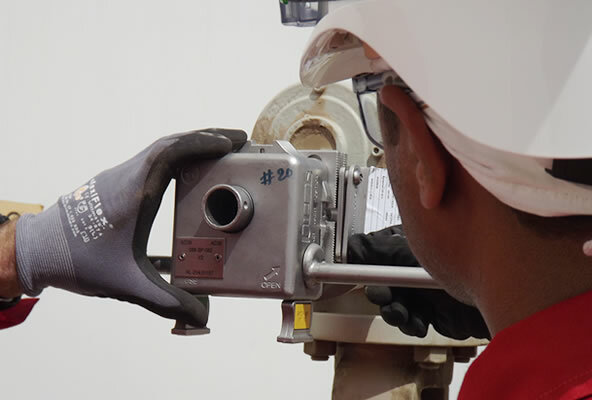 As mechanical valve interlocks are an integral part of the plant safety system and need to be reliable and operable 100% of the time, maintenance programs are an essential part of our Site Services. Apart from maintenance programs, Netherlocks also offers a variety of other Site Services, aimed at guaranteeing smooth installation and operation of your valve interlocks.